We went to the dentist for the first time this week. One of the fun little things they had for the boys was a beanbag toss where they won little pumpkins! So this week I pulled out some paint brushes and paint and let the boys paint them. I took a food tray from the store and placed them under the pumpkins or you could use newspaper if you want. 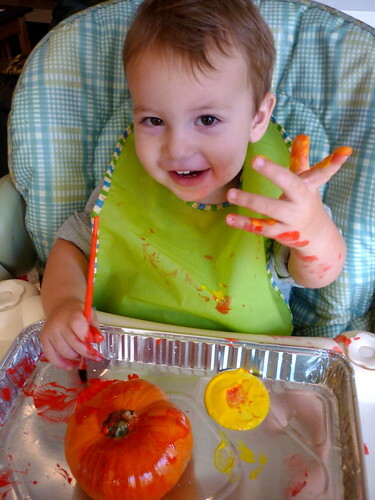 I highly recommend non-toxic paint for your little ones because as you can see Zarek thought we were eating at first. But he got the hang of it. But he did still try each color every time I turned my back. 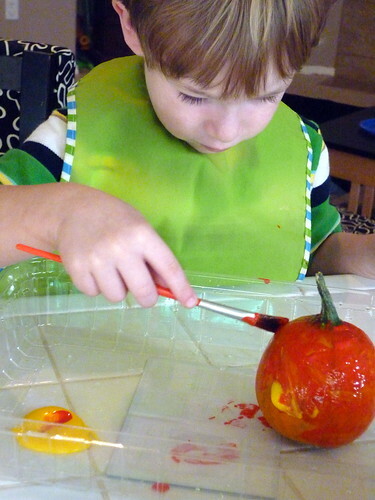 And as you can see he loved this so much he decided to paint his hand too! 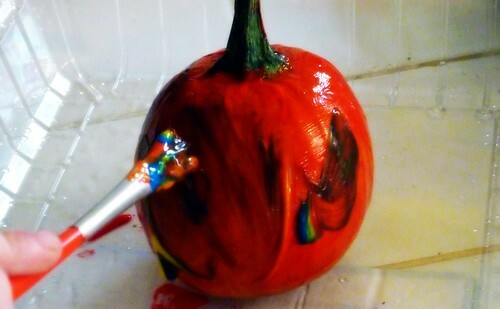 Zane loved painting his, almost a little too much, his pumpkin took a full day to dry. 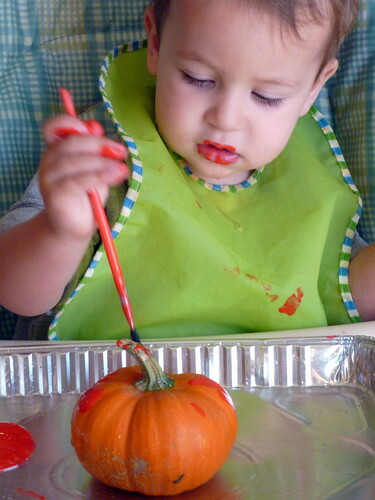 This is a fun and easy and safe way for the boys to decorate their pumpkins. How did your pumpkins turn out this year? How do you decorate them? They look like they are having a lot of fun! We’re actually doing this tomorrow with my daycare!